Undeniably one of the most charming cities in all of Vietnam, everything that made Hoi An a booming port city in the Late Middle Ages still applies: beautifully made handicrafts, a photogenic old quarter, its position directly on the Thu Bon River and its proximity to the sea. Savvy modern-day travelers, though, know that the quaint ancient town is best appreciated in small doses – in the quiet solitude of the early morning light, walking the boutique-lined streets blissfully free from motorized vehicles, or coming back for the vibrant night life when lantern-lit streets are filled with live music and a plethora of dining options from grilled streetside eats to chic colonial-themed eateries. When all that charm (and the crowds) begins to get wearisome, it’s delightful to have an out-of-town oasis to return to. 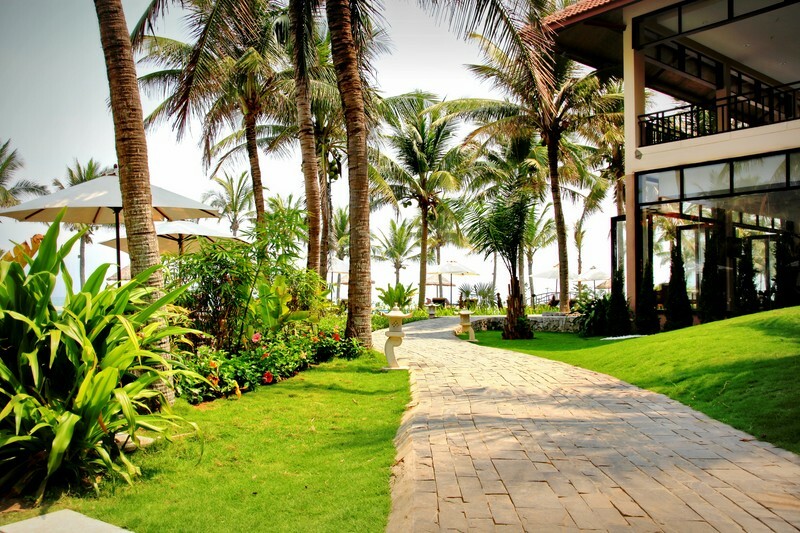 Enter Golden Sand Resort & Spa, a beautifully appointed property set on five beachfront hectares of paradise. Built in 2005 and upgraded just this year, Golden Sand Resort & Spa is all about feeling restful while embracing the spirit of Hoi An. 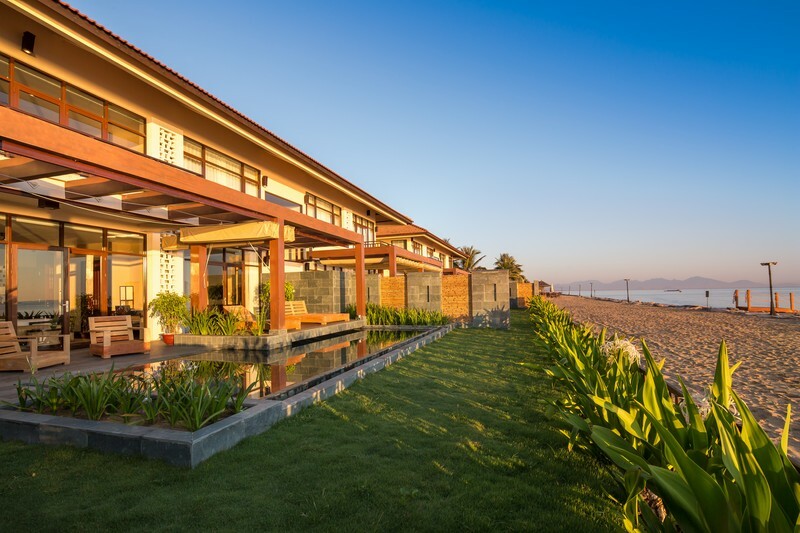 Cascading pools filled with lotus flowers lead to the massive entrance hall which brings the outdoors in, floor-to-ceiling windows and doors thrown open to the ocean breezes, with decorative touches that include Cham-inspired sculptures, a gurgling stone fountain and a pleasing all-natural color scheme in shades of dark wood and creamy rattan. The resort’s 212 rooms are arranged in low-lying buildings scattered throughout the lush, beautifully landscaped property dotted with fish ponds and vegetable gardens that create a sense of spaciousness. Giant hibiscus flowers add pops of bright color to the verdant backdrop of palm and banana trees and flowers picked from the property show up throughout the resort, in guest rooms and on breakfast tables for that tropical feel. With five room categories to choose from, honeymooners especially will want to opt for the Beach Front Pool Suite, 190 sqm of luxurious hardwood floors, marble bathrooms, separate living area and a private plunge pool. The spacious suite can also be configured to accommodate families who will enjoy the child-friendly facilities like the children’s pool, mini- water park with slide and fountains and a Kid’s Club with toys, games and supervised activities. Waking up to the wonderful dilemma of where to spend the day is one of life’s great joys: the resort’s own private beach where kayaks, surf boards and jet skis await, or at the jewel of the property, a crystalline 150 meter-long freeform swimming pool, the longest in Central Vietnam. While you’re there, grab a drink at The Infinity Pool Bar like the Golden Sand Illusion, a refreshingly strong concoction of Stolichnaya, Cointreau and Midori with a splash of lime and pineapple. Order a snack while you’re at it, with BBQ chicken wings, Hoi An-style spring rolls and golden calamari rings among others on the finger food menu. Upbeat feel-good tunes supply the musical backdrop to a gorgeous view of waves crashing against the shore and the islands in the distance while lazing in one of the many comfy sofas. 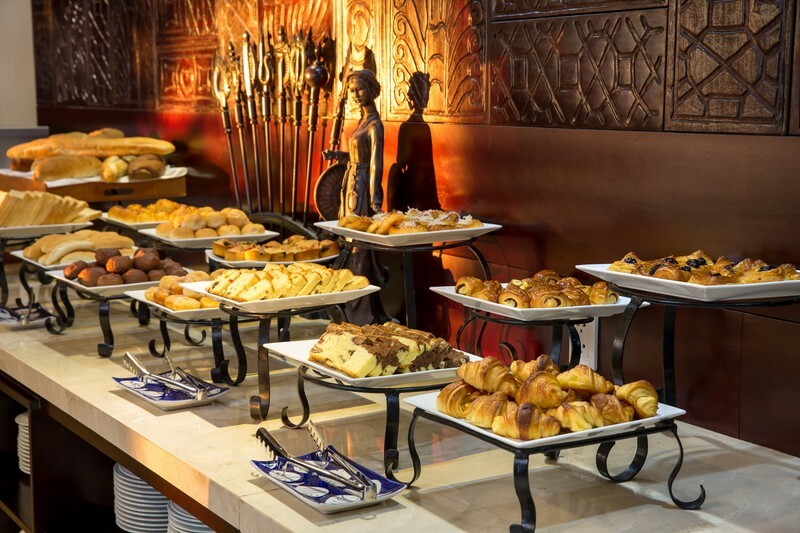 Or perhaps try the Sanctuary Lobby Bar, with its sophisticated ambiance and live music on most nights of the week. 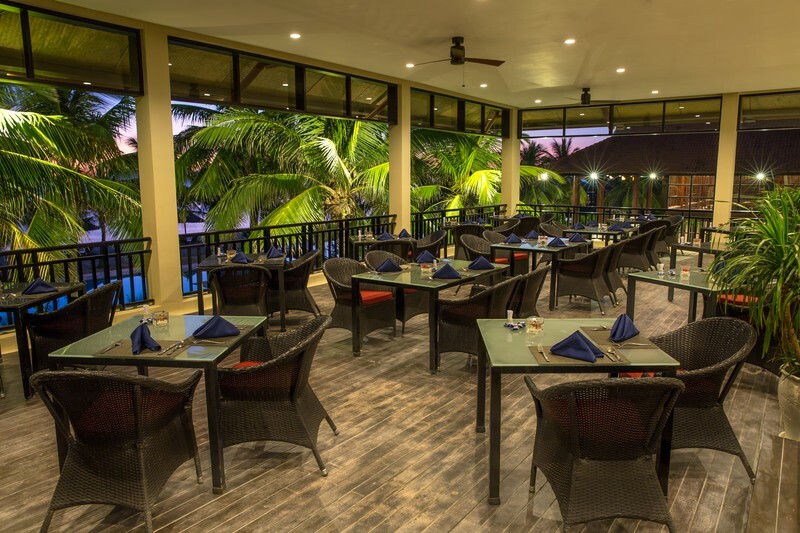 Other dining venues include the Art House Restaurant, a casual space to sample Vietnamese favorites and international dishes while enjoying views out to the pool. We tried two dishes which were both excellent: the Indonesian-style Nasi Goreng, a tasty dish of pungent fried rice served with prawns, beef satay and pickled vegetables and the Beer-battered fish fillets served with an impressively generous portion of French fries and a healthy garden salad. 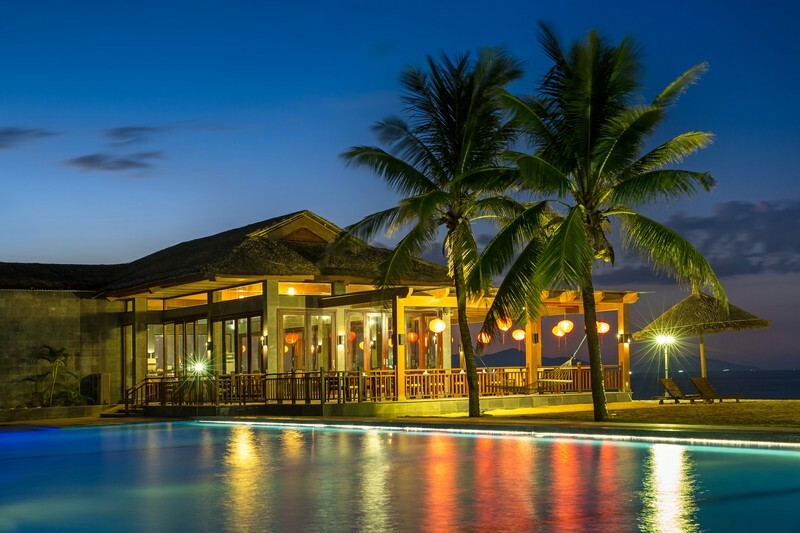 For an upscale dining experience, the Boathouse Restaurant serves up fresh seafood and signature Western dishes like Herb crusted sea bass and Australian Angus beef tenderloin in a picturesque setting literally meters from the sea. Seating is in the open-air wrap-around porch or inside the wood and stone restaurant where floor-to-ceiling glass doors let in ocean breezes while chill lounge music plays softly in the background creating the ideal romantic setting. After a day of exploring the pedestrian- friendly streets of Hoi An, weary travelers know to head to the Serenity Spa for a vigorous Vietnamese massage which utilizes medium to strong pressure with the palm and forearms on the body’s pressure points for deep-tissue relief. Also popular is the Balinese massage, a more gentle, relaxing treatment involving long strokes and essential oils like blue chamomile, bergamot and ylang ylang. Facials, wraps and scrubs using all-natural ingredients as well as salon services are also available in the restful spa with its nine treatment rooms, some which include luxurious stone soaking tubs. 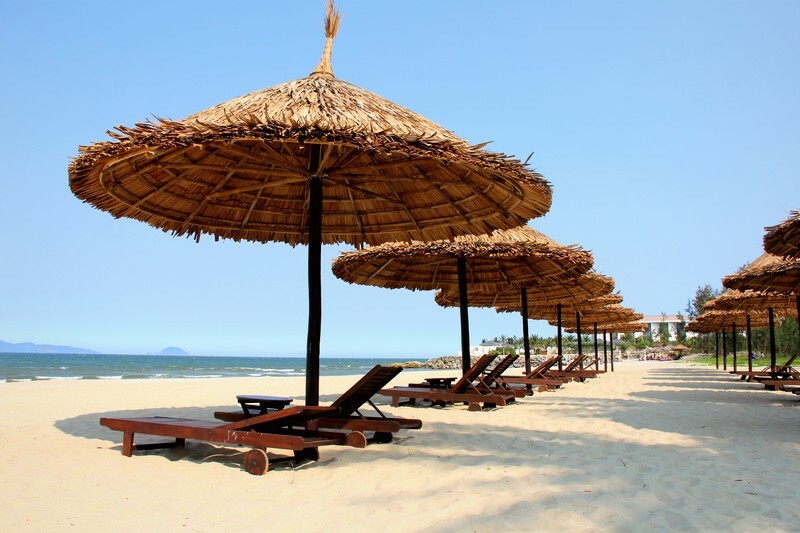 While Hoi An is rightfully known for its charming Ancient Town, the city’s appeal also lies in its picturesque countryside just minutes from the city center, its clean beaches and its proximity to numerous cultural destinations like the impressive temple ruins of My Son, the imperial city of Hue and the salubrious hills of Ba Na. 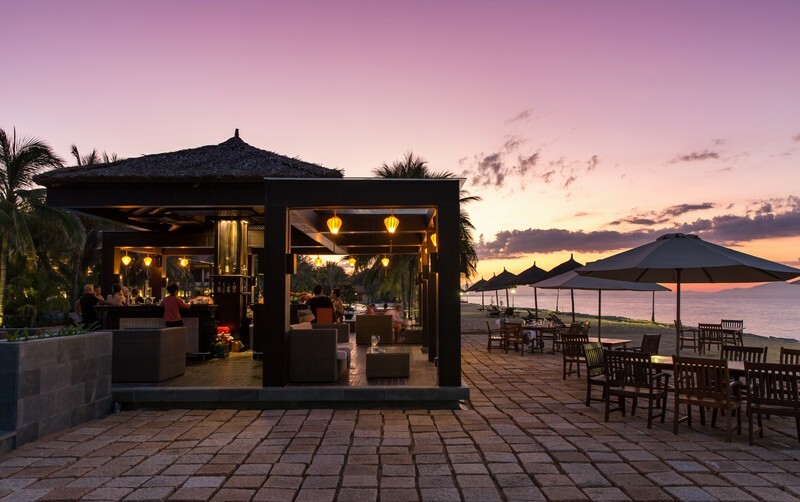 Set on famed Cua Dai Beach, Golden Sand Resort & Spa makes for a stylish, restful base to explore the incredible history and diversity of Hoi An and surrounds. 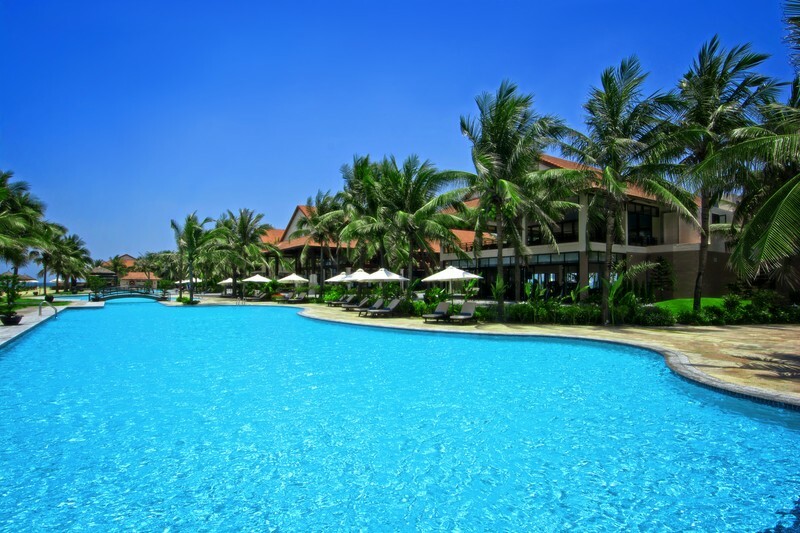 Doubles at Golden Sand Resort & Spa start at USD139, including an excellent buffet breakfast and complimentary shuttle transportation to Hoi An’s Ancient Town multiple times daily. 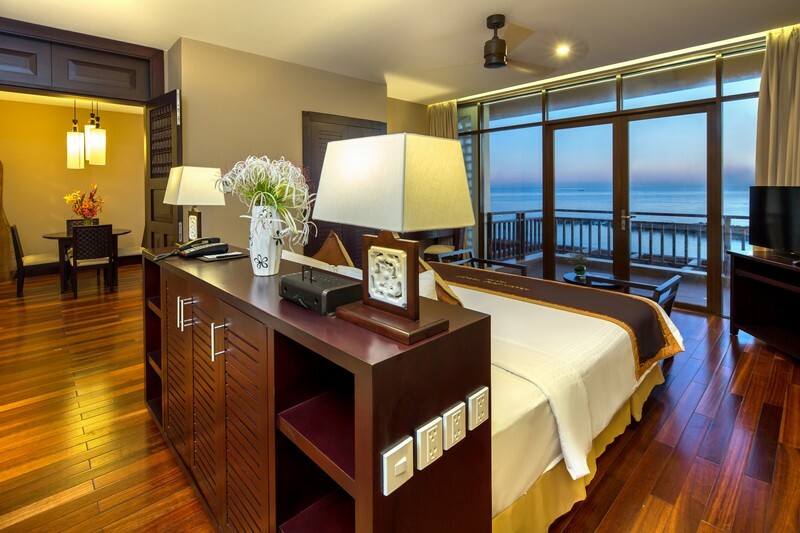 Visit GoldensandHoiAn for more information, including long-stay and early bird discounts and special offers.